When searching for a Webster Groves orthodontist, you will not find a team with more experience and expertise than Cardinal Orthodontics. Our Webster Groves office provides a full range of orthodontic and Invisalign care including metal and clear braces. Modern technology has come a long way to help make orthodontic treatments faster, less painful, and more convenient. Orthodontic treatments are far more comfortable and convenient than in the past. The Webster Groves office at 24 South Gore Avenue is located near First Congregational Church and across the street from Bristol Elementary School. Our office is also a block away from Lockwood Ave/downtown Webster Grove, and minutes away from Interstate 44 to St. Louis, Missouri. 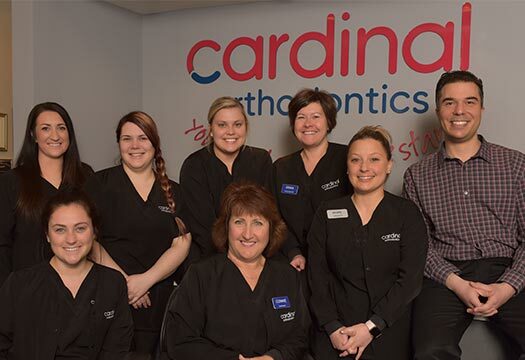 The professional team at the Cardinal Orthodontics is ready to assist with all your orthodontic needs. We’ll answer any orthodontic questions you may have about treatment and payment options.